The Macaroon Shop has been serving coconut and almond macaroons and other delicious baked goods to satisfied customers for over 75 years. This gourmet bakery was established in 1930 on the first floor of the North End Hotel in Ocean Grove, NJ.Situated on the Ocean Grove boardwalk, the bakery operated as a seasonal business during the summer months, when visitors flocked to the heart of the Jersey Shore, Asbury Park, and surrounding towns. The Macaroon Shop thrived in this location for 37 years. 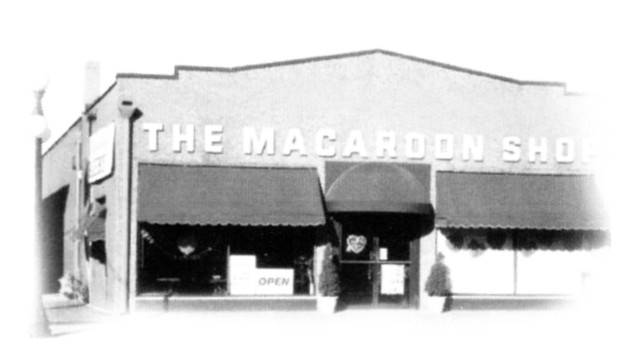 In 1967, the Macaroon Shop moved to 40 Main Street in Ocean Grove, and became an all-year-round business. The bakery did very well at this location for 14 years. In 1981, the Macaroon Shop again relocated, this time to a larger building at 107 Main Street in Avon by the Sea, another shore town two miles to the south. More bakery products were introduced to the delight of the community, and the Macaroon Shop remains here to this day. As local residents and summer visitors have long known, in addition to the finest coconut and almond macaroons, the Macaroon Shop offers the highest quality cakes, cookies, danish, pies and desserts at the Jersey Shore. Macaroons can be shipped anywhere in the continental US, as they have been since the 1930's.